- Built-in antenna model: These models feature a strteamlined body and intergrade LAN/power cable using PoE for a stylish installation that blends into the office environment. - External antenna model: These models feature a rigid metal chassis and support a wide range of operating temperature for use in factories, warehouses and stores where environmental requirement are very strict. 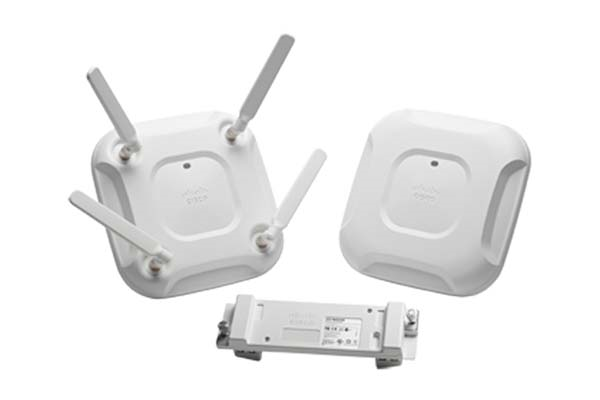 - Built-in anthenna models: Cisco Aironet 1532I, Cisco Aironet 1562I/D and Cisco Aironet 1572IC have a polished exterior design that blend into the surrounding environment. - External antenna models: A wide selection of antennas are available for Cisco Aironet 1532E, Cisco Aironet 1572EAC/EC to suit diffirent installation enviroments.